This is the process that applies if you trained in the European Union (EU) or European Economic Area (EEA) or Switzerland, or have EU rights. 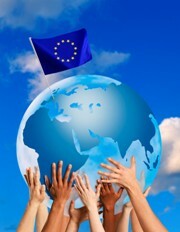 Click here for a list of countries within the EU/EAA. Before you start, please read our booklet Applying for registration from the EU/EEA or Switzerland. The booklet lists all the information you need to provide us with. In order to decide if you can be registered, the GOsC will assess your training and experience to ensure they are equivalent to the UK standards, which are set out in the Osteopathic Practice Standards. To do this we will need the information about your training, qualifications and experience specified in Applying for registration from the EU/EEA or Switzerland. You can download a checklist, What do I need to send the GOsC?, to help you check that you complete and send us all the required information. If the assessors do not believe there is a substantial difference between your training and experience and UK standards, you may apply for registration straight away. If the assessors believe there is a substantial difference between your training and experience and UK standards, you will need to choose a compensation measure. 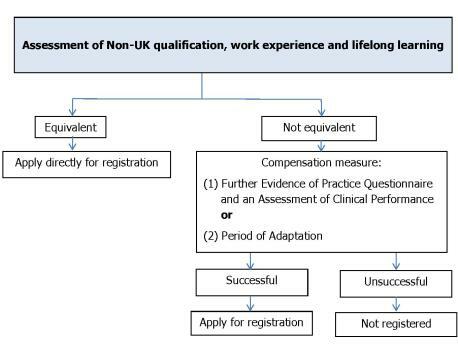 There is further information about compensation measures and what you will need to do in the booklet Applying for registration from the EU/EEA or Switzerland and on the page Assessments and assessors. If you successfully complete the compensation measures, you may then apply for registration. When your training and experience is considered equivalent to UK standards, we will send you an application pack. For further information about the application pack and how to complete it, please see the booklet Applying for registration from the EU/EEA or Switzerland.